Styles put the residence back on the market a year and a half after he bought it. The $8.5 million list price failed to entice buyers, so the 24-year-old performer trimmed it to $7.9 million earlier this year. It’s now at $7.5 million. 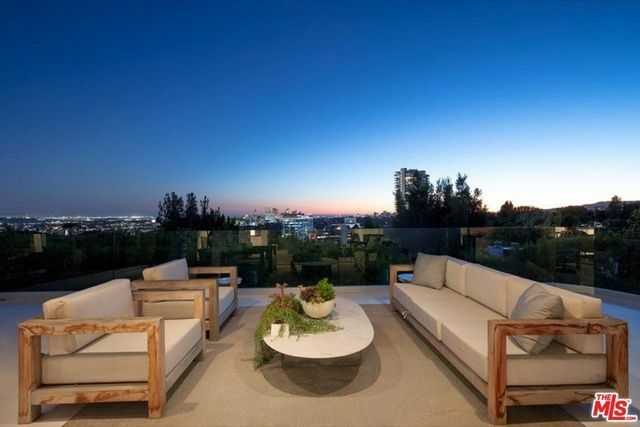 The listing details an “extremely private, modern showplace.” Located above the Sunset Strip, the home features a great room with walls of glass, offering city views from the comfort of your couch. The Los Angeles Basin can also be viewed from the swimming pool, private terrace, or outdoor lounge. Originally built in 1946, the home has been transformed into a contemporary space, featuring white tile flooring and a black and white chef’s kitchen with stone counters and bar seating.